New thesis on the Unitec case introduced near the University of the Studies of Naples “FEDERICO II” rewarded with the best note. The objective towards which this job has been projected is to try to estimate the relative costs you to the management and solution of the obsolescence for the support of a complex system, during the phase of uses: this problem, in fact, has provoked remarkable interest in the within of the search, above all American and tied to the military atmosphere, in how much it is inasmuch as, to make forehead to obsolescence problems, it is becoming one of the greater ones cost driver in the support of equipment and arranges electronic complexes produced in limited number. The studies that are capacities ahead, have allowed to develop methods and tool it trades them in a position to previewing the moment in which a member, it leave of the complex system to support, will not be more available on the market, but still little has been made in relation to the prioristic esteem of the costs legacies to this activity of support. Moreover, in many business truths, the approach that is followed in order to make forehead to these problems is of reactive type, that is knowledge of the single obsolescence in the moment is taken in which this effectively manifest one, with unavoidable increase of the resolution costs. Therefore, in last analysis, the study carried out in this job, beyond to the esteem of the costs, has like attempt that one to use a proattivo approach to the problem to the aim to develop a action plan that it allows a optimization of the costs. The concrete cue for the development of the elaborated present has been supplied from the SELEX-SI near which, in the plant of Giugliano in Campania, near ” the Business Unit Custumer Support/Engineering/Support to the product ”, during a stage of the duration of seven months, it has been possible to enter in concrete terms in contact with the problematic ones tied to the support of systems radar during their cycle of life and, in particular, in the period of durations of a contract CLS (Contractor Logistic Support) that the company offers like additional service to the own customers. To the aim of having a enough articulate vision of the problem obsolescences, first part of the job is stopped on useful theoretical aspects for the learning of the general ideas them and of the instruments it uses you in the part experiences them of the elaborated one. Moreover, siccome all the found information, come from articles or elaborate to you of military character, or analogous, completely independent between they, it has been attempted to give to such information an only body, so as to to create a mental distance through which possession one total vision of the problem. In the first one Chapter it has been made a short one excursus on makes of the logistics and the cycle of acquisition of a product, in how much, to such concepts many times over makes reference in the course of the trattazione. In the second Chapter, after to have introduced the case of study and described to the system radar, for which the concrete analysis of the part has been developed experiences them of the thesis, it has been explained in what consists to supply a service of type Contractor Logisti Support (CLS) for a such system. At last, they have been analyzes you several to the costs legacies to the CLS activity that the fornitrice company must support: between these there are, exactly, those legacies to the management and solution of the obsolescences. In the third party Chapter it has been tried to define the problem obsolescences, placing the attention also on the causes historical-economic that have determined it. In the quarter Chapter they come described which are the typical approaches to the problem obsolescences, that is that proattivo and that reagent, and which are the resolutive actions that can be undertaken in order to resolve it. In fifth Chapter, having understood, from the slight knowledge learned, than the better way in order to face the obsolescence it is to try to preview of rebelling, has been described a previsional method for the cycle of life of the electronic members; on such method, the forecast supplied from the tool is based trades used them in order to gain some of the input of the model developed during the period of stage. In sixth Chapter it has been described a methodology and a tool it develops near the University of Maryland from the members of the LIME (Computer to you Aided Life Cycle Engineering) Consortium: it has been just the study of this tool that it has placed the bases for the development of the model described in the last one Chapter of the thesis. In seventh Chapter, at last, the developed model has been described and introduced it turns out obtained through the experimentation made on the system taken radar to you to reference. The logistics is the business function more young person, or better, the management of the inherent activities to it of recent has only been recognized like discipline and, consequently, dealt like such. Of fact, before that this happened, the enterprises were restie to invest just the time and money in the search of more effective strategies of supplying, or than better political for the management of warehouse or the supplyes: the activities that today are contemplated in the logistic function, in fact, came considered secondary, since not directly connected neither to the production, than then it was synonymous of fabrication, neither to the field trades them. In effects, the enterprises were concentrated mainly on producing and selling: the margins were good, the products little and ration to you and the customers attended patients. ” Logistic is the art and science of management, engineering and technical activities concerned with requirements, design and supplying and maintaining resources to support objectives, plans and operations ” (Cfr. Appendix To pag. 154). ”….that branch of the military art that embraces the details of the transport, lodging and refueling of the troops ”. The reasons that have carried to asserting themselves of such discipline in radicata way therefore, go, evidently, searched in the constant competitive pressure of the modern markets, that it induces and it stimulates the companies to search more and more innovative solutions for one more efficient logistic management, in terms of lessening of the cost, and effective, in the sense of improvement of the service. Notes 1: Magee, Industrial Logistic. Notes 2: Bowersox, Logistic Management. Notes 3: Glaskowsky, the Hudson, Ivie, Business Logistics. The industrial Logistics (Industrial Logistic): it has the function to support the production through the direction and the control of the activities of supplying of the material demands for the fabrication of the products, of management of the warehouses of the supplyes, of reception of the goodses and shipment of the finished products. This logistics is present in all the manifacturing companies, whichever is their merceologico field and their dimension. The Logistics trades them (Business Logistic): it regards, essentially, the distribution of the assets of wide consumption. The Logistics of the systems: it is taken care of a product during its operating life. This type of logistics interests produced industrial of important complexity like airplane, ships, helicopters, tanks, radar, stations spaces them, it centers them electrical workers ….. and it is been born and widely it is implemented in army camp (Military Logistic). About this type of logistics, exactly, it will be spoken in way diffused in following understood them in relation to the supportabilità of complex systems and contracts CLS. Use Phase: whichever relative activity to the product when this last one is in possession of utilizzatore ago the part of the Use Phase. This phase comes also defined in-service phase and, historically, with such characteristics the logistics concept nacque: from the necessity, that is, to supply to the correct operation of a product in use. Obviously, in its first manifestations, were just the utilizzatore that supplied to the necessities without neanche thinking that it was giving to life to one business function. The typical activities of this phase, as it can easy be comprised, are times to the maintenance and operativity of the supported product. Physical Requirements Phase: as the products to support became more complex and lead the Time in order to obtain a real support grew tall, made road the necessity to identify, before that the utilizzatore entered in possession of the product, physical requirement in order to implement the actions of support. In the light of such requirement, is been born organizations, also inner to the single companies, responsibles to characterize and to procurare the necessary replacement parts, to prepare the documentation, to characterize and to predispose the tools and the equipment to use… All this to busy itself has carried to the development of effective processes faces to the location and finding of all that one of which the utilizzatore it could have had need. Functional Requirements Phase: it is the newer phase of the logistics, in which the associated logistic necessities to a complex system are considered, before still that this effectively is realized. It is the process through which they are defined objects to you and constraint to the aim to render the supportabilità of the possible system cost-effective. In last analysis, therefore, the logistician guideline, correlated from constrain places side by side the planners to the aim to write up one, than aids these last ones in the plan and the choice of eventual members and COTS with which realizing it. Notes 4: Alberto Mezzogori, Integrated Logistic Support, SE.MA.T-Florence. Notes 5: James V. Jones, Integrated Logistic Support, Mc Graw-Hill. The three are made of the logistics described in the paragraph precede unificano and reassume in the term Integrated Logistic Support (ILS) that it begins with the planning of the acquisition of an item and continues along all its operating life. In other words the ILS is that discipline that unifica the management of the logistic activities for the support of a system or item, any is its complexity, from beginning to end of its cycle of life. One becomes necessary, to this point, to shortly stop the attention on the cycle of life of a whichever product: this evolutionary process, in fact, is same for any object, any is its nature, that it is devised and produced for a usefull6. Preconcept: in this phase the necessities for the new system are defined. or Concept in which the possible alternatives are winnowed all in order to make forehead to the necessities characterized in the previous phase. The result of this phase is the choice of the most suitable alternative, or more of one, to subject to ulterior studies. Demostration/Validation in which the alternative or the alternatives characterized in the previous phase, come examined in depth in order to estimate how much and as they answer to the requirements to satisfy. The scope of this phase is to create a prototype from the ideas that has passed the previous phase, to demonstrate that this effectively works and to validate that effectively they answer to the requirements characterized in the phase of preconcept. Engineering and manufacturing development: in this phase a ingegneristico plan is gained that allows to realize the prototype of the previous phase so that he is reliable, manutenibile, producibile and supportable. Production and deployment in which the plan developed to the step is come true materially previous. Once ready, then, it comes prepared for being used from the final customer. Operation and support: to this point, the system or product begins to satisfy the necessities for which it has been realized. In order to maintain its unchanged functionalities in the time, but, necessary that it is continuously manutenuto and is supported. Disposal: to a sure point, new requirements come to the light, or simply it is not more convenient or possible to continue to support the old system or product; it begins therefore the phase of phase-out for the old object, but, at the same time the acquisition cycle begins for a new product: the described process fin’ora, in fact, does not have never fine, but it comes iterativamente repeated in the time. In the light of said how much fin’ora, is interesting to see like the three is made of the logistics is decreased on the cycle of acquisition of the product. In the successive figure exactly the superimposition of these is shown two aspects of the industrial world. Figure 1.1: It is made of the logistics applied to the cycle of life of a product/arranges. Notes 6: James V. Jones, Integrated Logistic Support, Mc Graw-Hill. In the previous paragraphs, it has been made one short carrellata on the characteristics and the evolution of the logistics in its several is made. In the described scene over, but, to the end of years 80 ‘, the fall of the Berlin wall carried true and just a sconvolgimento, above all in the connected productive fields to the within of the defense: in that period, in fact, the budget of the Department of the Defense American, in particolar way, was reduced drastically, pushing then the Secretary of the Defense, Mr Perry, to launch which came called Acquisition Reform. In little words, with this document, it was settled down to prefer dispositive answering you to detailed lists closely trades them to those constructed specific soldiers second. The attempt of such policy was that one to increase the sources possible and to reduce the costs, remarkablly greater for the devices constructed to you on prettamente military detailed lists. In parallel with these political choices, the interest of the fields trades them in the support post sale increased in many fields: companies manufacturers of household-electric, enterprises of the automotive field, in fact, gradually developed one infrastructure net for the attendance to the customer. At last, this tendency, gradually was adopted also from the intensive producers of systems capital like motors for airplane and tractors, until being thought one true and own competitive arm. To the light of the two described phenomena pocanzi, in more and more systematic way, the government of the United States demanded the logistic support for the acquired systems: the time of attendance could vary from little years, until the government the necessary ability to the support in independent way, to the entire cycle of life of the system. Nacquero therefore those that today come calls Contractor to you Logistic Support: the CLS is a contract of nature post-sale, supplied from the company manufacturer, that those activities necessary include all in order to support the system for all its cycle of life or part of it. Such type of contract, obviously, after the NATO them in America, has extended all the world. “Logistic Support of Army material performed under contract by commercial organization. Support may includes material facilities as well as services” (Cfr. Appendix To pag. 154). The NATO has adopted for before turns this tipologia of contracts for the systems aerial surveillance radar, of which SELEX-SI he is the greater supplier in within NATO. These preview the realization of Sistema di Supporto of type CLS for all the been involved countries, defining services and supplies for such systems for the entire cycle of life or part of it. One becomes necessary to this point, in order to enter in the merit of the argument, a short description of the SELEX-SI, and the system radar on which it has been developed the analysis proposed in the CAP. 7. SELEX-SI is one society of the Finmeccanica group, operating in the field of the defense, the electronics and the civil air traffic, with a turnover of approximately 1,2 billions of euro. SELEX-SI is world-wide leader in the supply of systems of management of the air traffic, of land and naval radars, systems missile, with one customers in beyond 100 Countries. The successive figure extension centers SELEX-SI in the world. Figure 2.1: Centers SELEX-SI in the world. SELEX-SI is a multinational corporation that operates to the fulcrum of the integration process that is rimodellando the European industry of the defense. The business activity them is expanded, like saying, to world-wide level and little less of the half of the sales it derives from various markets from those main ones, United Kingdom and Italy, like shown in the brought back figure of continuation. Figure 2.2: Sales SELEX-SI for market. As far as the merceologici fields, that one in which SELEX-SI more it is penetrated is sure that naval one, from which it comes approximately the half of the total turnover; fields land and ATMAS (Air Traffic MAnagement Systems) constitute parimenti 25% of the sales of the company. Figure 2.3: Sales SELEX-SI in the various fields. One of the main characteristics of the present companies in Italy and United Kingdom is the amplitude of the specific competences in everyone of the various fields; this allows to supply systems and services integrated in a position to adapting itself to every particular requirement of the customer. The offer is completed from the servicings the customer, for the training of the staff, and the maintenance. Figure 2.4: Centers SELEX-SI in Italy. The plant of Giugliano began its activity in 1977, operating in the field of the telecommunicationses and the products informed to us. Between 1982 and 1989, SELEX-SI widened the product line realizes to you, until including given units of elaboration, computer and console for applications in the civil field and of the defense. Between 1990 and 1995, important investments in the automation of the processes and the technology of production were completed, in particular for the production of printed circults to you. From the 1997 all the activities of industrial logistics have been concentrated in the plant of Giugliano. The division Customer Support Italy (CSI) is born in the 2000 from the aggregation of the resources and of the logistics activities it is of the divisions of product (Naval, Land and ATMAS), is of those of engineering and production of the plant of Giugliano. Its mission is to develop and to manage business of the post-sale, being integrated the ingegneristiche competences of the logistics of the systems and those industrial presents in SELEX-SI. The objective of the division is being the point of reference of the logistic processes, offering to the customer a total service of Logistic Support Integrated (Integrated Logistic Support, ILS) action to guarantee the maximum efficiency and operating availability of the systems: it has been created, in fact, an organization that concurs to supply attendance to the customers for the entire Life Cycle of the systems, in every part of the world. The scope is to realize one partnership with everyone of the customers, being become integrating part of the support activity, reducing the costs and increasing the performances. Figure 2.6: Main activities of division CSI. The Integrated Logistic Support assures that the planning of a primary system and the relative logistic support is carried out so as to to diminish the cost of its previewed cycle of life (Life Cycle Cost, LCC). The integrated system offered to the customer is, therefore, constituted from two elements intimately it correlates to you: the primary subsystem and the subsystem of illustrated logistic support like in the successive figure. Figure 2.7: Outline block by block of a generic system. For primary subsystem one agrees together of elements structured that they realize one given function, while the subsystem of logistic support is all the how much necessary so that primary system, during its life, is maintained in conditions of corrected operation. To the primary subsystem performance is demanded the objective to supply the performance (system) that it assures the satisfaction of the mission that has generated the necessity to plan the system. That wants to say that the system, through the elements of the primary subsystem, must work with effectiveness in the terms and the prescribed limits of operation in the technical detailed lists of system. To the primary subsystem, jointly with the subsystem of logistic support, the objective is demanded to supply the performance with continuity in the time. It objects to you aforesaid do not have logical validity if they are considers you separately: for this reason, it comes introduced a common objective, that it encloses the two previous ones, called system effectiveness (system effectiveness), defined as the availability (availability) of the performances of the system (system performance) in the arc of its cycle of life. The system considered for the analysis developed in SELEX-SI during the period of stage, and brought back in the CAP. 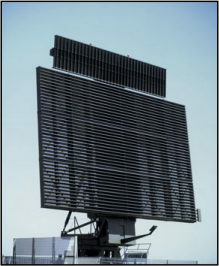 7, are a three-dimensional land radar, over a long time span beam, operating in band D (band NATO), effective until 500 km. Is characterized from one solid structure completely with modules emitters distributed along all the antenna. Technologically advanced, classified like radar NATO class 1, it incorporates advanced technical abilities to countermeasure (ECM, Electronic Counter Measures). The successive figure extension one seen frontal of the antenna of the radar. Figure 3.8: Antenna of the system considered radar. These systems of last generation are currently more are left over to you on the market and confirm the position of SELEX-SI like company to the vanguard in the technology radar to long capacity. Planned for being used in modern and complex atmospheres, it is in a position to adapting itself quickly to a range width of variable scenes, and moreover is equipped of ability to detezione of ballistic missiles (TBM detection, Technical Ballistic Missiles detection). Of continuation we will make reference the fixed configuration. Table 2.1: Main characteristics work them of the system radar. The system is equipped of four makes us independent that they explore the entire cover simultaneously radar. For independent, one agrees, than everyone of they it can independently be moved in elevation from the position of the others three. The four make us operate to various frequencies and ognuna of they it can be used in dynamics way on every bundle. This architecture of scansion concurs, regarding the other radars, to obtain principles performances in the cancellation of the clutter (disturbs had to reflections/refractions for atmospheric, land, marine effects), lowlands interferences between the channels, high modularity and riconfigurabilità. One is a characterized system modular structure in order to facilitate the repair of the subsystems and sottoassiemi. The design is such that it can easy be taken apart, be transported on an other situated one, and be put in service in times extremely reduced. c. one good resistance to the wind, adverse the climatic conditions and easy access for maintenance. Four make us simultaneous and independent for a greater TOT (Time On Target) allow a good azimutal accuracy and an optimal cancellation of disturbs. Constructively, antenna is constituted from a group and one series of units of processamento given for the generation and visualization of the traces radar. The group antenna includes the primary radar (or surveillance radar, SR Surveillance Radar) and a secondary radar (or secondary surveillance radar, SSR Secondary Surveillance Radar). The processamento units manage the transmission frequencies and the temporizzazioni, analyze and try the data of return from the primary and secondary radars and prepare the information for the visualization on console remote or local for the air traffic control (friend or enemy) or for the visualization of it upgrades them traces radar of ballistic missiles. Having introduced it is the company manufacturer, it is the system on which is articulated the experimentation dealt in the CAP. 7, we go hour to describe the terms of a contract CLS for the support of an apparatus of this kind: in this scene, in fact, the presupposed ones for the modellizzazione made near the SELEX-SI during the period of stage are been born. In the phase of procurement, the several divisions of interfacciano SELEX-SI directly with the Defense Ministries (MoD) of the nations that mean to acquire the system, or with the agency of procurement of NATO (NATO C3 Agency, NC3A). To the term of the period of guarantee, the systems can be support to you from the logistic division of SELEX-SI (CSI) under the control of the logistic agency of NATO (NAMSA, NATO Maintenance and Supply Agency). This presupposes the existence of a contract CLS between SELEX-SI and the NAMSA. The contract, junior clerk to such systems, of the duration of 4 years for the first period, leaves from the end of the guarantee of the contract first supply; they are, then, possible a maximum of five its extensions, ciascuna of the duration of three years: in total, therefore, the total duration of the CLS can be of 19 years. In the successive figure, it comes exactly shown the maximum duration of the contract, subdivided in several the groups. Figure 2.9: Duration of contract CLS. The CLS defines levels of operating performances to maintain and to control (Operating Availability) and the level of service (times of supply and participation). The activities of ordinary maintenance (preventive and corrective) of first and according to level will be executed directly from the Nation Host; SELEX-SI, therefore, will take part in situated for maintenances of advanced level or participations of great extraordinary maintenance. Collection given relati you to the participations carries out to you from SELEX-SI and the staff of the customer in order to verify the performances of the system. Analysis of the returns from the field and elaboration of quarterly relationships (Quarterly Maintenance and Supply Action Reports). Control of the levels of the warehouses of situated. Control of the Follow-on Course, held from the staff of the Nations Hosts, in order to verify the effective level of the staff who uses and manutiene the systems. Supply of pdr: The parts of the system that are gotten out of order during the normal operativity, present or less in the warehouses than situated, will come supplied from SELEX-SI, with contractual requirement for the times of supply. Reintegro of the stocks of pdr of situated: The supply begins previews them for an every situated sufficient warehouse of pdr critical supporting situated the same one for a period of operativity of 30 gg. behind closed doors; the support activity impoverirà progressively such buffer: task of the company is that one to maintain a level of the such situated stocks of guaranteeing the level of contractual support. The LRU Mission Critical that do not make part of the stock of situated will be supplied within 24 hours from the demand. The LRU Mission Critical that make part of the stock of the customer will come replaced with the warehouse part, and the part will come restored in warehouse within 48 hours from the demand. The remaining LRU will have times of restoration legacies to the plans of particular maintenance of the situated one. Activity of repair: The replacement parts, to use on the system or in order to restore the warehouse of situated, will come supplied from the SELEX-SI warehouse. The service of repair of the out of order LRU that re-enter from the situated ones is completely to cargo of the SELEX-SI (comprised the eventual substitution of parts not more repairable with new parts). Engineering Change Analysis and Proposal. Ambient development and management IETM (Interactive Electronic Technical Manuals). The customer will have constant approached such instruments and will come informed periodically of the state of configuration. The modernization of the database and the documentation is to cargo SELEX-SI. The price that the contracting society demands to the Nation Host is defined and fixed since the contract of acquisition and the responsibilities of the activities clearly are distinguished between customer and SELEX-SI. From these last information, it can be very understood as it is important, for the company that supports or more apparatuses, to a priori estimate the costs that will have to be supported during the time of the contract, to the aim of being able to formulate one demanded economic that satisfies its same profit. Management and solution of the obsolescences. It can easy be understood that, to the aim to obtain a profit from the implementazione of the actions contemplated in the CLS, the SELEX-SI must lead these last ones in efficient way; one becomes necessary, therefore, an analysis detailed and timely of all the cost voices that can minare the profit of the contracting company. It is just on this aspect, and in particolar way on the relative costs you to the management and solution of the obsolescences, than this job is articulated, to the light of the made formative experience in SELEX-SI. Like pointed out in chapter previous, one of the problems to face, like contractor of a contract CLS, is that relative one to the management of the obsolescences that unavoidablly will be introduced during the period of validity of the agreement trade them: such phenomenon, in fact, can create serious problems of availability in the phase of support of electronic equipment, above all, when draft of complex systems as in the event of radar or weapon systems in general terms. The obsolescence of the members, from how much emerges during the last few years from practical ascertainments, in fact, it is becoming one of the greater ones cost driver in the support of equipment and arranges electronic complexes produced in limited number: such systems, just because of their complexity and of the times elevates you of acquisition, introduce a life cycle the much longest one of the members in contained they. Moreover, just for such motivations, the problem of the obsolescence, is seen like one of the greatest supporters than risk for the technological impact on the availability and manutenibilità of systems of the cited type over. “Obsolescence is also very expensive, costing the US Navy (USN) hundreds of millions of dollars each year. ” ‘1 (cfr. Appendix To pag. 154). “The Deputy under Secretary of Defence for Logistics (DUSD (l)) indicates that the average cost to redesign to (single) circuit card to eliminated obsolete components is $ 250.000.”2 (Cfr.Appendice To pag. 154). “The Electronic Industry Association (EIA) Manufacturing Operations and Committee Technology reported to cost range for redesign of $ 26,000 to $ 2 millions.”2 (Cfr. Appendix To pag. 154). “The (USA) Air Force is reprogramming obsolete $ 81 millions for the F-22 program to purchase or soon-to-be out-of-production parts and to redesign assemblies to accept commercial parts.”2 (Cfr. Appendix To pag. 154). “An avionic manufacturer for the commercial airlines spent obsolete $ 600,000 to replace an Intel chip. “2 (Cfr. Appendix To pag. 154). “The F-16 program has spent $ 500 million to redesign an obsolete radars. “2 (Cfr. Appendix To pag. 154). “In fiscal year 1997, the KC-130 F/R program spent $ 264,000 on to life-of-type (LOT) buy as to resolution for one obsolete logic device. ” 2 (Cfr. Appendix To pag. 154). The nature, causes and the management of the obsolescence of the members have not been neither considered, neither understood in full load, are in the private industry that in that one of the weapon systems, until little years, until has ago not been understood that phenomena of this type often happened toppo and cost too much for being only ignore to you or to be resolved with a reactive approach through analogous actions to those brought back in the previous affirmations. The problem of the obsolescence can invest whichever equipment or product, above all if much complex, in all is made of its cycle of life; it is not problematic regarding exclusively a single type of item, but it can regard hardware, software, tools, equipments of support or test….For this reason, the management of the obsolescences (Obsolescence Management OM) would not have absolutely to be ignored neither during the phase of planning and development of a system (Acquisition Phase), neither during the phase of use (Utilization Phase). As it is easy to intuire, the relative problems you to the obsolescence, above all have a stricter impact on those systems that introduce a life cycle a lot along, if this last inglobano component with cycles of life remarkablly short. Exactly this the case of the radars, as also of all the paramilitary weapon systems and. ”The loss of, or the impending loss of, the last known supplier of an item or raw materials. DMSMS occurs when manufacturers of items or raw material suppliers batch processing lines production two to reasons such as rapid change in item or material technology, uneconomical production requirements, foreign sources competition, Federal environmental or safety requirements, or limited availability of items and raw materials used in the manufacturing process”. (Cfr. Appendix To pag. 154). In other words, an obsolescence problem is introduced when an item or a member more available because more is not produced from the last Notes supplier or original equipment manufacturer (the OEM). The reasons for which such phenomenon verification is numerous and different and, in some productive atmospheres, as those paramilitary soldiers and, many of they, fuse the own roots in historical events that have changed the productive political. 1: F. Haub, Managing materiel shortages the USN way, International defence review-extra, 01 september 1997. 2: Army Material Command, Diminishing manufacturing sources and material shortages, AMC-P5-23, United States Army Command, Alexandria, Virginia, 18 March 1999. In order to understand the problem of the obsolescence of the members and to interpret of the consequences, it is necessary to analyze the change of problematic the relative ones to the trend of market of the last ones trenta-quarant’anni. Like saying in the previous paragraphs, whichever item can be affection from DMSMD, but, being such mainly obvious phenomenon for the electronic devices, it is well to stop the attention on dynamics that has interested this market: the industry electronic, in fact, is one of the more dynamic fields of the world-wide industry; in order to understand this truth enough to think that, in the United States, such field has been developed, from 1990 to 2000, with a greater rate of growth three times to that relative one to the other markets. This fast increase therefore, has carried dramatic consequences in the world of the devices electronic you: changes like the feeding voltage, the reduction of I block it or the increase in the execution speed, is by now events that take place with cadence nearly salary. Such tendency has caused a drastic reduction of the cycle of life of the members of this merceologica class, in how much, in order to remain competitive you in a dynamic market therefore and characterized from a so fast increase, the producers have been looked at forced to change just continuously output, following dictate me of the new emergent technologies; extreme consequence of this phenomenon, is that the electronic parts, that they compose a destined system complex to a long operating life, remarkablly more short have a cycle of life of the product that compose. A qualitative example of said how much is illustrated in the successive figure. It has been estimated, to new evidence of how much said, that the production of integrated circuits (IC) has endured, in 1998, a turn over in the technologies used of 34.000 (one medium of 153 warnings of dismissione to day) 4. In the successive table, to ulterior example, there is an esteem of the medium rate introduction of new generations of integrated circuits on the market. Therefore, one of first driver that they lead to the state of obsolescence, is just the profit, for the manifacturing company, than it can be gained from the production of an item using, to its inside, one technology rather than with the other oldest one: when the production of a member is not more economically convenient, as mentioned above pointed out, the productive line to dedicated it comes dismessa and adapted to the fabrication of dispositi to you more profitable. Only in this way, the manifacturing industries of the field, can maintain just the power competitive, unavoidablly to discapito of who, sure the minority of a market much immense one, need of members old style. Siccome the first and more plentiful applications than such dispositi to you have interested the production of paramilitary weapon systems and, are useful to analyze, moreover as they are changed, in the years, the necessities of these merceologici fields and the supplying relati ones to you: the US Air Force has been, in fact, one of the first organizations to adopt the technology of the integrated circuits when in 1961 it chose to use computers that mounted chip of silicone. In years sixty and seventy, the Department of the Defense American and divennero NASA the greater world-wide consumers of electronic members and this gave it faculties to they to control of the market, imposing specific and characteristic of the devices you. What it has happened later on, obviously, resumes the row of the carried speech ahead fin’ora, even if the motivations and the scene are little different ones. “During the 1970s, military requirements drove nearly all cutting-edge electronics research and development, and the military purchased about 35 percent of the industry’s output of semiconductor components. By 1984, the military was purchasing only 7 percent of the total domestic semiconductor output. But in spite of the reduced market to share, military business was still desirable, The military still bought the most advanced and profitable Chips and components, I know most vendors continued to supply the military. It was at this Time, however, that the momentum began building to redesign military acquisition processes, in part to capitalise more effectively on the rapid developments in commercial electronics. This well-intentioned movement ultimately failed to anticipated the fallout from the electronic industry’s explosive growth, which would significantly change the ground rules for manufacturers. By the late 1990s, military purchasers confronted to commercial electronic base that was expanding exponentially. Yet to there was to lag in the understanding of how commercial growth would affect the manufacture of electronics at the component level. By 2000 and future, the infrastructure available to support military electronics needs has eroded, the military is counting on legacy systems designed in the 1970s and 1980s to servants well the new century. Active The US Army’s current roster of tanks and fighting vehicle is expected to be until 2030, while the US Air Force expects to use its current bomber fleet until 2040. These The sever obsolescence problems experienced by aging systems can’t be fixed by simple component replacement. Many components longer not to are available. Those that remain available aren’t competitive in either cost or performance with products routinely used in the commercial arena. “6 (Cfr. Appendix To pag. 154). To new evidence of said how much in the previous lines, pack-saddles to think that, in 1975, the industry of the defense have ud of of 17% of the market of the semiconductors, which very piled 4,2 billions of dollars; in 1995 the percentage was come down to 0.7% of a market estimated in 150 billions of dollars: the difference was consumed, impietosamente, from the industry commerciale7. The question of specific integrated circuits for the defense, had been by far exceeded from that one for applications trades them, in spite of the always greater complexity of the devices employs you to you in new military plans. It has been estimated that the computer producers, products trades them and of telecommunication, in 2000, they very acquired and they used 93% of the electronic members available in that year, while military the aerospace field and civil, it has only absorbed 0.3% of the mercato8. Such phenomenon very is illustrated in the brought back diagram under. An other interesting prospect of the situation, is supplied from the successive figure. To ulterior new evidence of the insufficient presence of the military sector in the market of the semiconductors, in 2001, the situation was that one shown from the following figure. The field trades them of the telecommunicationses and the industry of the computers, therefore, is currently dominating of the market of the devices technological you. In the time, therefore, the market of the electronic members, for military scopes, it had become less and less attractive, while the costs of research & development for new generations of dispositi to you technological grew; the only way, therefore, in order to realize a return on such investments, was to serve the mass market. The problem ulteriorly was aggravated from the fact that devices specific you for the military sector had to be produced following specific adapted (MIL-SPEC) that of it they assured the reliability and the performances: this, unavoidablly, made to grow the set-up costs ulteriorly them of production. Because of this, to the end, the 12 suppliers of the market of military componentistica, between which Motorola, Intel and Philips, in first years ninety, they decided to abandon such type of produzione11. On the other hand, already in years eighty, to the end of the Cold War, with the tendency to reduce expenses to military scope, in the United States new called politics Acquisition Reform came in existence put one, with which it was settled down to prefer dispositive answering you to detailed lists closely trades them to those constructed specific soldiers second. Such initiative, came then formalized from the Secretary of the Defense William Perry who, the 29 june 1994, signed policy “the Specifications and standards – To new way of doing business”, in which openly promuoveva the use of dispositi is assigned to you to you at the market trades them in place of those constructed second dictates MIL-SPEC to me. In last analysis, this combined tendency of the producers to the abandonment of at the market military service, for the perseguimento of the economic profit, and the flexibility of the producers of paramilitary weapon systems and to the use of members trades them, because is forced, is for reasons of economic convenience has completely exausted the control of the industries of the defense on the market of the semiconductors and, consequently, on the own suppliers of dispositi to you electronic. Such phenomenon, with to the smaller performances in terms of reliability of the devices not constructed to you on detailed lists MIL-SPEC, has carried these industries to having to face obsolescence problems is in the gathering phase, because of the long times of planning and realization, than, above all, in the phase of support of the produced systems and uses you. Other reason for which he is indispensable to place the attention on the merceologici fields does not trade them, com’è also pointed out in the previous citation, draft from “Aging military electronics: what can the Pentagon I give? ”, it is the length of the cycle of life of the produced systems and uses you in such fields. E’ exactly this one of the reasons for which, the paramilitary support of weapon systems, avionici or are that one mainly hit rebelling of obsolescence problems: the cycle of life of the weapon system, as an example, has endured a remarkable streching in the time, which had to along acquisition process; examples of said how much in the previous proposizione are brought back in the successive figure, that it puts in extension like, the cycle of life previewed for some weapon systems, come extended in the time. Because of this, and of already along cycle of life of the sopramenzionati systems, is found to having to us to face rebelling of the obsolescence more times during the operating phase of the products of this kind. Such tendency, considering said how much on the speed with which, more and more with passing of the years, they come introduced new generations of members on the market, has caught up by now breathtaking and little sostenibili rhythms from the economic point of view. A qualitative example of such vicissitudini is shown in the brought back figure under, in which it comes illustrated like, in single ten years, the participations of upgrade necessary to the support of a complex system, with a cycle of life estimated in thirty years, are triple to you. An other aspect of remarkable importance and that it interests above all arranges complexes, regards rebelling of the obsolescence not in the phase of use, but in the same gathering phase. Such phenomenon, more recurrent than how much tasks, depends is from along period of planning that it arranges of this type need, is from the little inclined mentality to the proattivo approach to the obsolescence and that, only in the last years, it is enduring a sure change: the policy that it is being attempted to make to pass, making them to become ruotine in the modus operandi, in fact, they preview the effort towards the forecast of the obsolescence end from the progettuale phase. 3: W. T. Hartshorn, Obsolescence management process as a best practice, Obsolete parts leverage team roadshow. 4: Northrop Grumman, Best practice: component obsolescence management, Defensive Systems Division-Rolling Meadows, IL, 29 giugno 2001. 5: F. Haub, Managing materiel shortages the USN way, International defence review-extra, 01 settembre 1997. 6: Hamilton e Chin, Aging military electronics: what can the Pentagon do?, National Defence, marzo 2001. 7: L. Condra supportato da D. Followell, G. Houchens, J. Jenks, M. Koehler, Z. Porter, Minimizing the effects of electronic component obsolescence, Electronic products Boeing Information Space & Defence System, maggio 1998. 8: W. T. Hartshorn, Obsolescence management process as a best practice, Obsolete parts leverage team roadshow. 9: W. Lloyd, C. Condra, A. Amir Anissipur, D. Tennis Mayfield, G. Michael Peatch, Electronic components obsolescence, IEEE Transactions on components, packaging and manufacturing technology – Parte A, volume 20, n° 3, settembre 1997. 10: W.T.Hartshorn, Obsolescence management process as a best practice, Obsolete parts leverage team roadshow. 11: M. B. Wright, D. Humphirey, F. P. McCluskey, Uprating electronic component for use outside their temperature specification limits, IEEE Transactions on components, packaging and manufacturing technology, Part A, volume 20, n°2,giugno 1997. 12: R. C. Stogdill, Dealing with obsolete parts, IEEE Design Test Comput., volume 16, aprile-giugno 1999. 13: W.T.Hartshorn, Obsolescence management process as a best practice, Obsolete parts leverage team roadshow. The management of the obsolescence has as main scope that one to guarantee a support to the system cost-effective during its entire cycle of life: the aim, in fact, is that one to define a trade-off between the several requirements and to supply a process of effective management. They would have to be defined, therefore, those actions to put in existence to the aim to prevent or to resolve the effects which had to the DMSMS problems. Sturdy and flexible being in an atmosphere characterized from continuous changes. In the light of this, therefore, the management of the obsolescences would have to be considered like an element of the widest management of the risks of a plan. Which effectively it is the manifest probability that the obsolescence. In order to analyze these last aspects of the problem in synthetic way, it is often made resorted to a graphical aid that puts in relation the three variable ones and allows one total vision of the situation. In the successive figure it comes, exactly, shown the system with which the schematizzazione of the three aspects is tried to consider. Figure 4.1: Outline for the classification of the problem obsolescences. The Probability with which the obsolescence will be taken place. Therefore, based on the result of this analysis on the three main factors of risk, the Project Manager decides the strategy to pursue. In last analysis, the managerial process for the problem of the obsolescences can be outlined, in general terms, in the following steps. To find the deep ones in order to realize the solutions and to implement them effectively. 1: Defence Standard 00-71, Issue 2: Obsolescence Management, The Ministery of Defence, Directorate of Standardization, 27 January 2001. Approach for-assets: it previews the development and the implementazione of a program of management of the obsolescences based on the forecast of the obsolescence date. Deciding to pursue the reactive approach to the problem of the obsolescence, therefore, it is settled down not to make null until the moment in which this effectively verification. Usually, this strategy is pursued when the analysis of the risk factors, that is the contestuale esteem of impact on the system, probability of occurrence and cost for the resolution, from like result the tripletta (low, low, low): in fact, from the budgetario point of view, it in the earlier stage does not imply costs added to you, but, in the moment in which it is gone to resolve the problem, it can be found to having to us to face a large economic expenditure, therefore, a level low for the factor of risks cost renders the things less onerose. Moreover, the emergency of a low level also for the others two factors of the risk analysis, less renders the choice of a reactive approach to the risked problem. In the cases in which the impact of the obsolescence on the system, the probability of occurrence and the cost for the resolution do not turn out little important, an approach would have to be preferred for-assets to the obsolescence: it would be opportune, therefore, to develop and to implement a program of management of the obsolescences that is pursued for the entire cycle of life of the system and that it defines the actions to put practically. An important aspect of this modus operandi is the monitoring of the obsolescences: with this expression the continuous one agrees to hold under observation the members and the materials that come been involved in the production process or of support to the system; moreover, in moment in which a part it turns out obsolete or, in more favorable of cases, when it is previewed that it it will become to short, is engaged to us in order to search of the alternative or however the resolutive action adapted. For those members who play a critical role for the emergency of the system. To such purpose, it is useful to say that they exist numerous tool trades them and data banks that collezionano and put on hand, obviously to payment, this type of information. 2: Group on standardization on material and engineering practices (AC/301), STANAG 4597 (Edition 1) – Obsolescence management, 17 March 2003. Here of continuation a series of actions apt is listed to resolve the problem of the obsolescences: some rispecchiano the reactive strategy, others that one proattiva3. It is necessary to emphasize that their implementazione does not preview absolutely one mutual exclusion: in some cases, in fact, it can turn out more effective to put a action in existence plan that it previews a mix of some of they. Sources alternatives (aftermarket manufacturer/suppliers): the aftermarket manufacturer they are companies that they have find the production lines and the relative rights from original equipment manufacturer (the OEM) to the aim while still alive to maintain the production of an otherwise obsolete item. Aftermarket suppliers the cone instead obsolete component companies that they choose to acquire and to hold to warehouse and rivender them to an increased price to who of manifest the necessity. Substitution of parts (Replacement parts): this alternative, typically reactive, demands the analysis of the characteristics of the obsolete item and the search of a similar device in FFF (Form, Fit, Function) that you do not degrade the performances of the system because of the differences. One can capitare that they find a member perfectly equal, or that has need of some adaptation. Emulazione: it is the process through which it is attempted to reproduce a by now obsolete member, maintaining of the qualities in terms Form, Fit, Function, but using the technology available to the state of the art. Also in this case it is spoken about a corrective action of reactive stamp. When the end of the cycle of life of the system to support is not too much far in the time. The lifetime buy it is an action numbered between those proattive. Between the actions of last buy, that one of Bridge Buy can be included also with which a purchase of a sufficient amount of item comes true itself in order to support system and productive plan until one action of redesign. Redesign: often, rather than to carry out lifetime buy or a substitution of parts FFF, that they need however an adaptive effort, is not preferred to redesign a part, more or less extended of the system, without but altering its functionalities. Technological insertion: action with which it is attempted to face the express development of the technology to the aim to place remedy to the inevitable to rebel of the obsolescence. The fundamental element is the introduction of one new technology in a preesistente plan, so as to to improve, at the same time to the resolution problem of DMSMS, the functionalities of the system. If implemented in effective way, the technological insertion and the main proattiva action in order to contrast the obsolescence. Often, beyond to actions of this type in order placing remedy to the imminence of DMSMS, actions of upgrades they come systematically programmed in the course of the cycle of life of the system: it is the case as an example of a midlife-upgrade. Reverse Engineering: process for means of which an exact retort of the item is come true originates them, through the study of the effective composition of this last one and I use it of technical data. Cannibalizzazione (Reclametion): I use of other analogous systems, and not more economically repairable, to that supporting like source of replacement parts in order to satisfy the necessity of the obsolete members. In the successive table, they will come here shown the characteristics of cost and effectiveness of the corrective actions end descritte4. Sources alternatives Potentially high. Requalification could be necessary one. Temporary if the alternative market has the same characteristics of the main one. Substitutionparts Low, but it could demand requalification. Low. Temporary if the alternative market has the same characteristics of the main one. Emulazione High being necessary is redesign that one requalification. Minimum. Not availability depends on the relation obsolescence/. If the availability is not caused from the technological obsolescence solution is one in the long term. Life of Type Buy Moderated. Minimum. It could be still more bottom making economies of scale. Along term if the calculations on the availability are corrected. Redesign High. High. It can in the long term be if the members who have decided themselves to use are not to the end of their cycle of life. Insertiontechnological It varies to second of the cases. It could demand requalification and retesting. It varies to second of the cases. It could demand requalification and retesting Along term. Reverse Engineering High. Requalification could be demanded one. Low. Not availability depends on the relation obsolescence/. If the availability does not depend on the dimension of the market it is an action in the short term. Cannibalizzazione Low. Low. Short duration. Table 4.1: Characteristics of the several actions in order to face the obsolescence. For not recurrent costs tantum agrees those costs to support one in order to implement the corrective action correspondent, like the costs of requalification, writing of the new documentazone and redefinition of the test procedures. In the following illustration, it comes brought back the subdivision in percentage of the resource to such solutions. Figure 4.2: Percentage with which it is rerun to more you attend solutions for the DMSMS. As it is looked at, it is rerun to the single redesign in little cases, because of costs to it elevate it to you connect to you. The solutions mainly adopted are the substitution of parts and the Life of Type Buy. 3: DMSMS Resolution Houses Guides, Air Force Material Command DMSMS Program, 15 July 1998. 4: Diminishing Manufacturing Sources and Material Shortage Management Practies, GEB 1, EIA Engeneering Bulletin, 15 July 2000. 5: Porter G.Z. (Boeing Commercial Aircraft Company), Strategies for obsolescence management in the new mil-lennium, from the actions of the DMSMS Conference 1999. From how much said fin’ora, it has been understood that rebelling of an obsolescence problem it can cause a remarkable economic impact, financial and technological, it is in the gathering phase, than in that one of use of a complex system. In order much time, has been watched to this truth with an optical of reactive type: it was taken in consideration that a member could become obsolete, single in the moment in which such possibility it was realized and, only then, was run to the shelters. With passing of the years, in the development of methodologies, software and database, that they had to that making with the management of the obsolescences of the members, much emphasis it has been placed on the forecast of this and the actions that could have mitigated the phenomenon in the moment in which this it had been revealed. Even if not there is null to obbiettare to the tendency to optimize the application of methods reatti to you, sure the much most effective one and efficient it is protendere towards resolutive philosophies for-assets: the challenge that is stimulating the atmosphere of the search during the last few years, in fact, consists in supplying to the planners instruments in order to preview the availability or less of the members to insert in the plan, during all the cycle of life of the system in phase of planning. Foundations of such forecasts, are the cycles of life of the same members on which the analysis is stopped: it is of fundamental importance, in fact, to establish the permanence of a determined device on the market and, above all, for how much time still this last one will be available for upgrades them purchaser. The greater part of the electronic members passes through various is made of the cycle of life to which corresponds different characteristics. When it is had to that making with this type of dispositive you, it is because it must make one progettuale choice, is because it is found to having to us to support a system that incorporates such deliveries, is well to know in that phase of the life these are found and for how much time they will remain you. Introduction: E’ the first phase of the cycle of life of the product, in which the industries manufacturers can only satisfy a market limited, in how much, because of the phenomena legacies to the learning processes (you attend modifications and equipments not specialized), the produced volumes are still small; because of this and of the financial expenditures begins them, the selling price, in this phase, is elevated. The probability of obsolescence for the members in the introductory and relatively high phase (approximately 10%). For this reason, when member in introductory phase for a plan is believed to choose one, a risk analysis must always be made. Increase: The devices you that they exceed the introductory phase, enter in that one of increase that is characterized from one fast increase of the sale, continuation from one reduction of the feasible selling price thanks to the economies of scale; this happens also in order to contrast a great number of concurrent industries that try to enter in the market attracted from the gain opportunity. The obsolescence probability decreases quickly during this phase, even if an analysis of risk and an accurate appraisal of the costs and the reliability must be carried out before choosing a member in this phase, to incorporate in a new plan. Maturity: In this phase the sales catch up their maximum; the device is characterized from an elevated quality, guaranteed also from its progettuale stability. In this period, many concurrent, attracted from the low production costs, can enter on the market; it can happen, moreover, that some already present industries in it decide to move the production towards geographic areas where this is more economic. The obsolescence probability, in this phase, is to its minimum. For this reason and for the high quality, the devices mature you are strongly recommend to you for being introduced in new plans. Saturation: The sales of the members in this phase begin to decline, while the industries leader in the field begin to dedicate their efforts in the development of new technologies. The obsolescence probability slowly begins to increase. The devices you in this moment of the life cycle are a lot convenient for the short term. Decline: To this point of the life cycle, the volume of sale of the devices you cove remarkablly and quickly is for social causes and acclimatizes them, is for the introduction of new technologies that render available more convenient or simply better members. In this phase the abandonment of the market from part of the industries is observed leader and meager remaining the production is supported from those enterprises that are behind schedule technological. Obviously, the obsolescence probability grows quickly and, therefore, the devices you in such moment of the life cycle must be avoid to you in new plans. Phase-out: To this point of the life of a member the sales and the ability to serve the market catch up the lowest level, until the productive lines do not come completely discharged. Generally, the suppliers send an warning of imminent cessation of the production suggesting, in many cases, an alternative to the member not more available. The cycle of life of the devices electronic you, in agreement with established how much from the EIA, can therefore be outlined like in the following figure. In it which come also brought back some characteristics the price, the volume of sale, the use of the member in issue, the modified parts, the number of concurrent companies between they and the profit that gain the producers. For ognuna of such characteristics, then, a relative level to every phase of the cycle of life of the product is indicated. In others banns2 the subdivision of the bell-shaped curve, representative of the cycle of life of a device, comes seen in way a little various one: they come, in fact, modified the extensions of some is made of this and proposed the introduction of other subdivisions of the temporal interval in which a member it remains on the market. The phase of Maturity comprises those that in standard EIA comes divided in maturity and saturation. Adding the phase of Dismissione and successive Obsolescenza to the phase of phase-out comes and defined as that period in which the producers they stop to under investigation try the device and this last one remains available on the market for a limited period of single time if a source aftermarket decides to acquire the stocks available. Therefore a part becomes obsolete when the technology with which it is produced more is implemented, for which can say that the obsolescence happens to level of technology, while the dismissione happens to level of part number. A qualitative schematizzazione of this other approach to the cycle of life of a device is supplied from the following figure. In the same article they come evidenced some anomalies that can find in the cycle of life of some devices electronic you. It comes specified that all the members do not pass through the six are made evidenced in Fig. 5,1, but some can endure one “dead women premature”, after a false one start-up, others can find vital space in a niche market; it can still succeed that some devices you come revitalizing after the phase of decline. The possibilities that such anomalies are taken place effectively, however, are multiple and function is of economic contingencies that associate-environmental. Lack of an only and preponderant application of the device. Those members who ritagliano a niche market; then, they have, usually, an only application and for this they never do not catch up elevates sale volumes to you. An other worthy case of Notes regards the revitalization of a member after its phase of decline defining new segments of market, new applications or simply creating one new image for the product. Examples of anomalies in the cycle of life of the electronic members are outline to you in the successive figure. 1: Given Product life cycle model, American Standard ANSI/EIA-724, 19 september 1997. 2: M. Pacht and D. Das, The electronic part life cycle, IEE Transactions on Components and Packaging Technologies, vol. 23, n° 1, March 2000. 3: M. Pacht and D. Das, The electronic part life cycle, IEE Transactions on Components and Packaging Technologies, vol. 23, n° 1, March 2000. 4: M. Pacht and D. Das, The electronic part life cycle, IEE Transactions on Components and Packaging Technologies, vol. 23, n° 1, March 2000. The traditional method for the forecast of the cycle of life of the electronic members, is based on an approach score-card, in which the phase of the life, in which a device is found, is determined through an Array of technological attributes: to every attribute they are conferred a code, relative to the cycle of life, comprised between and a six (in agreement with is made characterized from Pecht and Das: one for the introductory phase and six for the phase of dismissione and obsolescence), and a weight. The phase in which the device is found determines making one medium weighed of the relative codes you the cycle of life of the attributes. The defect of this method is the fact that it does not consider the effective courses of the market, in how much it is based on not quantifiable technological attributes like the technological complexity and on ephemeral attributes of market as the use. Moreover I found its roots in the erroneous assumption that all IC (the Integrated Circuit) follow the same cycle of life and that all it is made of this have the same length. An other approach I found myself on a “factor of reliability” that serves in order to characterize a “temporal window of emergency” in which the member can be used calmly. This method uses technological factors and of market of dispositi to you similar to those for which the obsolescence forecast is necessary; it does not take in consideration, therefore, the life cycle neither allows to characterize the phase of it in which the member finds itself. Figure 5.4: Logical flow to the base of the previsional model of Sandborn, Salomon and Pecht. Identification of the technological class to which the device belongs: A technological class is with of devices that share technical characteristics and work them, but that they can be produced from various enterprises. Location of the primary attribute and those secondary ones: the first one is one characteristic that defines a technological class, while the second ones are attributes that can modify the phase of the life cycle and therefore the moment of the obsolescence of one technological class. An example of technological classes and of you respect primary attributes to you and secondary it comes brought back in the following table. Table 5.1: Examples of technological classes with relati primary attributes to you and secondary6. Determination of the number of sources for the device under investigation; if he does not succeed himself to identify some industry manufacturer, the member is already obsolete. Collection of the regarding data of sale the primary attribute of the technological class. If a technological class comprises dispositi to you characterizes to you from more values for the primary attribute, therefore, the trend will have to be searched of sale for everyone of they. If one has been interested to a device in particular, will be enough to collezionare the relative data of sale to its value of primary attribute. An example of what it will be able to be obtained with the search is shown in the following figure, in which the data of sale for a flash are brought back memory whose primary attribute is the dimension measured in megabit (M) 7. Figure 5.5: Data of sale for a flash memory, relati to you to the various values that the primary attribute of the class (dimension of the memory) assumes. Devout = = Relative frequency of i-esima the observation. Through these data, making reference to statistics in Fig. 5,5, diagrams of the type in Fig. 5,6 and 5,7 can be obtained according to, from which, through extrapolation, they are succeeded to find the mathematical expressions of the average and the shunting line standard, the primary attribute of the class. Figure 5.6: Trend of the years in which the peaks of sale for the flash are had memory8. This approach can be used also for dispositi to you that they are not still in commerce, but for which it knows the class of belongings and the value that the primary attribute will assume. The curve is the graphical rappresentazione of the units sold in the time, the average µ of the curve is the temporal moment (year) in which the peak in the sold amounts has been taken place, the parameter k is the peak of sale measured in sold units; if such value is the percentage of the sold units, the function describes the course of the percentage of sale in the time. Variable the x and the time in years. The factor p is the running date in which the forecast is made. The result will be one curve of the type in figure. Figure 5.8: Representative curve of the cycle of life of a device, identified from average µ and shunting line standard9. Modification of the zone of obsolescence based on the secondary attributes. The same forecast is developed for every secondary attribute; if the year in which one of these last ones begins the obsolescence zone in order at least falls that is within the vital window of the relative cycle of life to the primary attribute (in), then, the zone of obsolescence characterized for the generic device it must be modified. In the following table the algorithm is reassumed in order to carry out such modification. Table 5.2: Algorithm in order to modify the zone of obsolescence based on the secondary attributes of the technological class. In the Tab.5.2, with j the secondary attribute has been indicated j-esimo, with µj the average relative to its cycle of life and with sj, the shunting line relative standard to it. In a recent one article 10, Sandborn, Mauro and Knox, have proposed one modification to this type of forecast of the obsolescence window: they suggest that the specification of the obsolescence window depends on the rules of business of the specific supplier and the specific part. The logical distance to follow in this rivisitata version of the forecast method is following: for every device, the relative data you to the date of the last ordinazione are record to you and classify to you from the producer. Every request of the part, in the classification of the data, has a value of the primary attribute, for which the parameters µp and sp with the described method can be gained over; the last date of ordinazione of the request of the part, per year comes hour standardized in relation of the sale peak µp. Such procedure comes repeated for every request of the part, for which the analysis of the obsolescence is being lead, ordered and for every supplier. The successive step is that one to reassume such give standardized in a histogram, from which it will be, then, extrapolated a Gaussian one and you respect parameters to you µlo and slo. x=2 a level of equal confidenza concurs with 95%. A use of succeeding of the tool present on the market for the forecast of the obsolescences, I found its validity on the assumption that such forecast often is brought up-to-date; moreover, it becomes taken care of more, as approaches itself to us the given effective of obsolescence. This implies, that the value of the forecasts, depends, in great part, from the ability of the organization to institute a continuous monitoring of the market and, he turns out to you obtainable from such information, make confidence in the bravura to face, in fast way, rebelling of an obsolescence problem. Ill-fatedly, the more it is approached to us the moment in which such problems they will rebel, less effective will be to have some foretold the date: this, in fact, renders spaces, or little useful, the efforts prosthesis to put in actions participations estimates in order to contrast the phenomenon obsolescence. The method of forecast, described in the previous pages, comes introduced, from the author of articles on it centralizes to you, like a step towards the availability of one effectively efficient forecast, supported from quantifiable limits of confidenza. 5: R. Solomon, P. Sandborn, M. Pecht, Electronic part life cycle concepts and obsolescence forecasting, IEE Transactions on Components and Packaging Technologies, vol. 23, n° 4, December 2000. 6: R. Solomon, P. Sandborn, M. Pecht, Electronic part life cycle concepts and obsolescence forecasting, IEE Transactions on Components and Packaging Technologies, vol. 23, n° 4, December 2000. 7: P. Sandborn, F. Mauro, R. Knox, To date mining based approach to electronic part obsolescence forecasting, Actions from the conference on DMSMS 2005. 8: P. Sandborn, F. Mauro, R. Knox, To date mining based approach to electronic part obsolescence forecasting, Actions from the conference on DMSMS 2005. 9: R. Solomon, P. Sandborn, M. Pecht, Electronic part life cycle concepts and obsolescence forecasting, IEE Transactions on Components and Packaging Technologies, vol. 23, n° 4, December 2000. 10: P. Sandborn, F. Mauro, R. Knox, A data mining based approach to electronic part obsolescence forecasting, Atti dalla conferenza sul DMSMS 2005. 6. ANALYSES OF AN INNOVATIVE APPROACH: MITIGATION OF OBSOLESCENCE COST ANALYSIS (MOCA). Ideally, in order to make forehead the numerous problems of obsolescence, that they plague the electronic systems with a long operating life, there is need of a methodology, supposing that it is possible to preview the obsolescence of the members of such systems, that it determines which is the better moment in order to carry out a redesign and which it is the mix winning of actions to implement and during this participation, and for all the phase of I use of the system. Which you leave present in the system, also not being still obsolete, convene to replace in a determined participation of redesign or design refresh. Ability to carry out strategies in order to improve the performances of the system. A small becomes necessary to this point excursus face to emphasize the frequently present terminology in the successive phrases and to which already it has been rerun in the previous speeches: in the paragraphs succeeded to you, in fact, it will often come used the expression design refresh; in many scientific articles, the previous formula often comes used in interchanging way with the term redesign, but it must emphasize the formal difference that exists between the two situations3. Design refresh, when used in rigorous way, refers to the action that they are necessary, that is “have to be done”, so that the functionalities of the system on which work they are remained unchanged and available; with the term redesign or technological insertion the reviews of the system are identified times to the inclusion of new technologies that can increase the functionalities of the same one or simply they maintain pregresse its functionalities, already implemented with previous technologies, that is actions that “want to be done”. A methodology that it tries to pursue objects it anticipates to you to you in the previous paragraph, and its implementazione, the MOCA (Mitigation Of Obsolescence Cost Analysis), has been develops in the center of the Consortium LIME (Computer Aided Life Cycle Engineering) to the University of Maryland, like part of the plan Air Force Electronic Part Obsolescence Initiatives. Such approach, being based on future projections, manutentive requirements and forecasts of obsolescence, determines the impact on the costs in order to support the cycle of life of an electronic system with life long-field. Based on an taken care of cost analysis, the MOCA determines the plan of better redesign, from the economic point of view, in order to support this type of systems in their long operating life: it confronts, in fact, various actions apt to mitigate the effect of the obsolescence, of it it simulates the economic effect on the system and determines a action plan to implement in order to support the system in the time, putting into effect the mix of cost-effective corrective measures thought. In particular, the plan that the tool it supplies consists in one list of participations of redesign, the activities to carry out in everyone and the dates to which carrying out them. The philosophy on which the developed methodology is based, follows logic to put a sure corrective action practically in the short term, like as an example last a Time buy or the search of suppliers alternated to you, in the moment in which verification the obsolescence, in the wait that the redesign is implementabile. Obviously the eventuality of life a Time is taken also in consideration buy that it can comply with the future requirements. In the successive figure, it comes shown the conceptual development, in the time, of such approach4. Figure 6.1: Timeline of a supplied design refresh planning from tool the MOCA. For semplicità, such timeline refers to a single part or sottoparte of the system, but, applicativo in the event real, it must think next to numerous of the sort municipal processes in parallel. Tool the MOCA is implemented in JAVA. 2: Reactive P. Sandborn, Beyond thinking – We should be developing for-active approaches to obsolescence management too! , DMSMS Center of Excellence Newsletter, volume 2, Issue 3, june 2004. 3: Herald, T.E., Technology refreshment strategy and plan for application in military systems – To “how-to systems development process” and linkage with CAIV, from the actions of the National Aerospace and Electronics Conference (NAECON), 2000. 4: P. Sandborn, P. Singh, Determining optimum redesign plans for avionics based on electronic part obsolescence forecasts, Society of Automotive Engineers, Inc., 2002. Eventual already programmed designs refresh. We more analyze to hour in detail this mere directory of necessity. The input basic demanded from tool the MOCA in order to begin the simulation it is the bill of materials that is the list you leave correspondent to the system to analyze and one imputation of several the members to level of card: in other words, the software has need of knowing which devices elementary you composes the system and as these come it groups to you to advanced level in order to form the constituent LRU the object. Complementary information, but not for this of smaller importance, are the coefficient of every employment of single member, the purchase price, eventual restrictions of specific, the presumed one given of obsolescence and one proposed of plan of mitigazione of the feasible obsolescence for every device. The given presumed one in which every member he becomes irreperibile on the market comes determined with tool I affixed, develops to you to you and sold from the TACTech, bases on the previsional model described to you in the CAP. 5 Par. 5.2. Such Siccome information is slices from a sure uncertainty, every date is dealt effectively like a distribution of probability whose the customer of the MOCA defines shape and characteristics. In the following illustration it comes shown the graphical interface through which they come supplied the input to the software. Figure 6.2: Interface between customer and tool MOCA. As it is looked at in Fig. 6,2, in the field “Obs. Dist dates.” of the mask “Part Given Description” it comes specified, exactly, the distribution of probability with which dealing the given presumed one of obsolescence of the members. Last set of information in input, but not in importance order, regards the production plan, is in terms of new units of the system under investigation, if it is a product still in production, is in terms of spare parts; moreover they come signals you to tool the eventual dates of programmed designs refresh gia of default. In more exaustive way, I can say that the software supplies the list of possible cases, to put into effect during the operating life of the system under analysis, being implemented the maximum number of actions of design refresh; such data comes specified from the customer like preference. For every eventuality it comes supplied the list of actions to realize and their schedulazione in the time. The plan of better design refresh comes chosen based on the cost of performance; based on this last one it comes then lead an analysis of life cycle cost, by means of software trades them (Price H/HL). 5: P. Sandborn, P. Singh. Electronic part obsolescence driven product redesign planning, IJAMS International Journal of Advanced Manufacturing Systems, Volume 7, Issue 2, 2004. The analysis realized from tool the MOCA comes lead through the shown steps and the logical flow in the successive figure. Figure 6.3: Logical flow second which the MOCA is structured tool. In order to understand effectively better like tool the work, it will be better to analyze in the detail the several one step. It generates a list of actions: it arranges all the possible events like production, prefixed designs refresh and obsolescence of the single members on one timeline similar to that one shown in Par. 6.1. It determines the cost in case of no design refresh: it determines the life in the event cycle cost in which they do not come carries out design to you refresh adds them; this result will serve like baseline for the successive analyses of the tool. In this case, it comes assumed that the obsolete members are available near existing stocks thanks to lifetime buy or from sources after-market, to second of as it has been specified in input. It chooses a design plan refresh: a set of actions of design refresh comes chosen for being analyzed. Modification the list of actions: the list of actions originates them comes modified including pianoro the design refresh candidate to the analysis. It synthetizes new you leave when a member comes replaced during a design refresh, with a device whose cycle of life could not be still famous: to the aim to diminish the costs in the entire cycle of life of the system, in fact, the MOCA tries to preview the date of obsolescence of these last ones, being based on the cycle of life of the members who use the same technology of base of the device used for the substitution. In order better to explain the mechanism than this operation, bringing back an example much frequent one in the literature on the argument7. We suppose of having to preview the date of obsolescence of a logic divice, for which the primary attribute8 is represented from the logic family of belongings. The forecast the cycles of life of the members pertaining to the device class of the member leave considering of which we want the obsolescence date and that they introduce various values of the primary attribute. In the successive figure, for example of this, the cycles of life of some logic families subdivided in various are shown the typical ones are made. Figure 6.4: Cycles of life of some logic families. Leaving from these data, diagrammano the dates of introduction and phase-out according to the date in which the sale peak has been taken place; such points come then interpolated with two straight ones of which are gained, then, the expression analytics. The result that is obtained is brought back in the following image. Figure 6.5: Dates of introduction and phase-out according to the year of the peak of sale for some logic families. In the example L =. = the Index of obsolescence of the replaced part, that it corresponds to the phase of the life cycle in which this last one is found as an example (: 2= introduction; 3= maturity; 5= phase-out). Candidate determines the cost of the design refresh. He classifies the plans of design refresh based on turns out to you economic: as a result of the economic appraisal the paini of design refresh considers you they come classifies to you based on the cost and in cost more effective it comes chosen. Tool Price H/HL comes used is in the appraisal of the single plans of design refresh, is in the final esteem of the life cycle cost of the system once that the final plan of design has been chosen refresh. 6: P. Sandborn, P. Singh, Electronic part obsolescence driven product redesign optimization, 6° Joint FAA/DoD/NASA Aging Aircraft Conference, 16-19 september 2002. 7: P. Sandborn, P. Singh. Electronic part obsolescence driven product redesign planning, IJAMS International Journal of Advanced Manufacturing Systems, Volume 7, Issue 2, 2004. 8: For the definition and the explanation of what it is a primary attribute of a member and the belongings to one device class I send back the CAP. 5, par 5.2. Presence of sensors and mechanical members necessary in order to assemble the cards. I use of the MOCA in order to establish a action plan based on actions of design refresh. In the following table they are brought back turns out you economic of the studies lead near the center of the Consortium LIME (Computer Aided Life Cycle Engineering) to the University of Maryland in the USA. Table 6.1: It turns out to you economic of the experimentation. According to this analysis, therefore, using the MOCA they have been saves nearly 43% to you of the costs that would have been supported in according to case assumed. 9: Sandborn, P. Singh. Electronic part obsolescence driven product redesign planning, IJAMS International Journal of Advanced Manufacturing Systems, Volume 7, Issue 2, 2004. In the light of how much learned on the importance of a proattivo approach to the obsolescence and considering the methodology proposed from Sandborn and implemented from its equipe in the center near the university of Maryland of the LIME (you see CAP. 6), have been believed to develop a model that it had input similar to tool the MOCA and that it worked in way to trace of the lines guides. The difference with how much in this time has been made in SELEX-SI, is exactly to try one rations them former budgetaria forecast ante, being based on previsional data of obsolescence and to supply a action plan to implement in order to pursue possible the minimal cost. It has been, therefore, developed a model that bases its forecasts of cost for the support of the system radar described in Par. 2,3. for the period of duration of a contract CLS, that it begins from 2006 and hard 19 years. Through of it it has been found the optimal solution from the economic point of view. Moreover they have been estimated other possible ones varying of cost that they held in consideration technical difficulties or uncertainties in the forecast. At last it has been analyzed to a model used previously in SELEX-SI for the forecast of the budget for the support of the same system radar for the same period of time; it turns out you of cost previewed from such model have been then confronts to you with the developed model. Siccome the two models are based on completely various previsional approaches, the comparison are not face to the demonstration of the goodness of the model, but to estimate the differences that can be had in the sopportabilità costs using an approach rather than an other. For confidentiality reasons, obviously, the costs have been alter to you in the final value: it has been respected, in fact, the proportion between turns out to you, but the values are fruit of one parametric manipulation. To mount, one has subdivided the system in make and COTS (Commercial Off The Shelf): the first LRU are produced and repaired from the SELEX-SI, using members acquires you from external suppliers, while the COTS are produced trade them that they come directly buys you in theirs entirety as ready units for being implanted in the architecture of the system, without preliminarily being manipulated inner to the company. The analysis has been stopped on the active members who compose the part make of the system: for active member a semiconductor device agrees. In particular a set of 54 constituent cards has been considered the radar, in which 280 active members find themselves. For these members the position has been searched on the representative curve of the life cycle, indicating it with a Factor of Risk (FR). For such operation it has been used the tool trades them CAPS Expert©. In the following illustration they come shown the Factors of Risk in relation to is made of the cycle of life of the members. Figure 7.1: Cycle of life and factors of risk second the convention of CAPS Expert©. The study has carried to characterize the following situation puts into effect them for the devices active you on the LRU make of the radar. Figure 7.2: Subdivision, based on the factor of risk, of the 280 active members. The developed model is based on the diagram of flow of brought back continuation. They are associated, therefore, the members to the several cards and join the relative data of obsolescence you to several the members. In this way he succeeds himself to subdivide the cards based on the criticità that introduce. First of all, they come considered those cards that members contain with elevated Factor of Risk, those that is that they need an immediate attention, in how much introduce already obsolete members or in the phase of phase-out (Factor of Risk 6 or 5). On the cards selected, therefore, goes itself to determine which effectively are the members who render it critic. After which, the population of member x is estimated, having FR=6, on it and they are added such turns out to you: in this way the number of critical members is obtained us on the LRU (a). To this point, therefore, for all the cards turned out positive to the test: “contains at least a member with FR=6? ”, I have an indication on its criticità regarding the obsolescence that is represented is from the number of types of critical members us? y with present FR=6 on the card y, it is from the population of these last ones; like pointed out previously, this number of critical members us, in the flow diagram has been indicated with to in order emphasizing the fact who come considered, one to the time, all the cards turned out positive to the test. For every card, hour, calculation the costs of second resolution two approaches: to buy the members necessary to satisfy the requirementses of the cards until the end of contract CLS, that is what it comes commonly called Last Buy, or to carry out actions of punctual redesign on the obsolete member. The output of the model they will be, for every card, the costs of Last Buy and redesign. Of these, always for every LRU, the minimum comes chosen, that it represents the cost of resolution for that type of obsolescence on the LRU. The associate action lessened cost, will be that to implement in order to support the LRU. To described base goes them of the implementazione of the model in its shape over, has been made, then, of the considerations in order to estimate the variation of the costs, to forehead of corrective actions brought to turns out obtained to you, in order to try to improve the sopportabilità of the system, is from the economic point of view that technical. For the calculation of both costs, us it is puttinges in the hypothesis that, once that the card breaks off this cannot be repaired, but in order to support the system it must reproduce the entire card: for this reason, in fact, they are calculates the resolution costs beginning from to you holding account of the requirementses of the cards in the time, calculated the MTBF of the single LRU. Population of present members of type x on the card y. Unit price of purchase of member x.
Requirementses in the time of the card y.
Maggiorativo coefficient that comes used in order to consider the unavoidable increase of the cost of purchase of the members; based on the experience, this value has been placed equal to 200% for the members with FR=6, by now obsolete. For the others, having assumed a former speech ante, we have not applied some maggiorazione to the purchase price, in how much comes exactly supposed to acquire them before that they become effectively obsolete. Types of critical members present us on the card y.
y = Percentage on the alive cost of the materials that holds account of all the factors of cost connects you to storing. The value has been placed equal to 20%. Such cost has been chargeed to several the years and then brought up-to-date to 2006 for being able to add it with the expenditure for the purchase of the members with FR=6: as it is Notes from the economic theory, in fact, a same amount of money does not have the same value in two various periods of time because of the devaluation of the currency had to the inflation. With such term the phenomenon is indicated for which the cost of an activity or a whichever element it increases with passing of the time. Also being a enough meaningful factor, generally, in a LLC analysis, which our experimentation represents a part, it is neglected and work with the costs puts into effect them; to the term of the analysis then these come bring up-to-date to you using affixed models to you for their revaluation. t = Periods in which it has been divided the temporal interval. Ct = Cash flow, in this case expenditure for the maintenance to supply or the purchase I give material, relative to the period t-esimo. n = Number of periods in which it has been divided the temporal interval. In the event particular every hard period a year, therefore n=18 in how much considers also the period t=0 correspondent to 2006: the years of duration of a CLS for the radar under investigation, in fact, are 19.
r = Discount rate, that is the cost of capital them for the company. In the simulation, it has been placed equal to 12%. Once identified the LRU requirementses, I can also calculate the redesign costs. Therefore, it comes calculated like the sum of the costs to support in order to redesign the members, more the cost than fabrication of the new card. As far as the obsolete members to replace with others, it comes assumed to choose members that they are at the beginnig of the life cycle so as to not to have other problems of obsolescence in the rest of the CLS. Moreover it is assumed that the new members cost like the old ones of the same tipologia, at the present moment. Unit cost of fabrication of the card y that it holds account of the cost of the materials and the actual costs of fabrication. Hour cost of the specialistic staff who has been placed equal to 60€. Necessary hours of labor to redesign of one the tipologia of equal obsolete members assumed to 40, based on the experience. Therefore the necessary cost of labor to the redesign is legacy, to the criticità of the card: more they are the critical types present us on it, plus coast to redesign it. In other cases (FR=5; 4; 3), the used formulas have been the same ones, but beyond to the costs of maintenance to supply, it charges to you to the relati to you periods obviously, they have been brings up-to-date also the costs to you of purchase of the members and labor for the redesign. They change also the indices obviously the summary one in order to calculate the cost of maintenance to supply. Having deliberate hour both costs for the supportabilità of the cards with members with FR=6, I choose the minimal cost between the two: this will be the minimal cost in order to support at least containing card y a member with FR=6. Where k it is the number of LRU with at least a member with FR=6. To these costs, moreover it has been added a fixed, independent share from the LRU and their situation of obsolescence, recurrent to alternate years, that it holds account of necessary expenses to the monitoring activity: even if it has been used a proattivo approach that it tries to preview the future development of the situation, in fact, must hold in consideration the uncertainty of which unavoidablly is slices one in the long term forecast. For this reason, therefore, it must preview a monitoring activity, to carry out at least every other year and that it verifies eventual scostamenti from the assumed situation. For the calculation of the costs legacies to the monitoring the necessary number of hours to monitorare the 54 cards in issue has been considered. In the course of the trattazione but, for reasons of privacy business, the cost of monitoring it will come considered one constant, M, whose value is present in the brought back cash flows in Appendix B, without esplicitare the formula that has generated it. Cost of fabrication of the LRU. Schedulazione of the actions in the time. The CLS begins in 2006. For the calculation of the requirementses of the cards, I suppose that, when a LRU (card) is broken off, replaces it: I put myself that is in the worse one of the cases without to consider the possibility of repairs. The made hypothesis is not completely peggiorativa in how much, for being able to respect the tight times tax from the CLS, relati you to the importance works them of the LRU to repair in the system, not being to us often a TAT (Turn Aroud Time) adapted, increases the number of objects in circulation. For the members with FR=6, by now obsolete, I act immediately. For the members with FR=5, for which the half of the obsolescence interval is last, but that they still come indicates you like assets from the constructors, I act to the end of the obsolescence interval. For the members with FR=4 and 3, in order to comply with the uncertainty of the esteem of one given therefore far in the time, I choose to act to half of the interval of obsolescence indicated from tool the CAPS Export©. The costs of labor for the redesign are calculate in relation to the complexity and criticità to you of the card, that is in way proporziona they to the number of critical types present us on it. In the choice of the new necessary members to the redesign, she comes assumed to choose dispositive you that they are at the beginnig of the life cycle. The new members cost like the old ones of the same tipologia, at the present moment. Discount rate, that is the cost of capital them for the company. In the simulation, it has been placed equal to 12%. Maggiorativo coefficient that comes used in order to consider the unavoidable increase of the cost of purchase of the members; (200% for the members with FR=6). Necessary hours of labor to redesign of one the tipologia of equal obsolete members assumed to 40. Percentage on the alive cost of the materials that holds account of all the factors of cost connects you to the imagazzinamento. The value has been placed equal to 20%. Qy = Unit cost of fabrication of the card y that it holds account of the cost of the materials and the actual costs of fabrication. M = annual Cost of monitoring. The model has been implemented with a date base developed in Microsoft Access that it receives in input the information listed in the previous paragraph under the heading of input and gives back a report from which the necessary information to the development of the calculations are gained. Such information come then elaborated in a folder of job constructed in Microsoft Excel to the aim to obtain turn out to you brought back in the paragraphs succeeded to you. The date base in Access comes executed by means of a macro, launch from the customer through a mask, while an industrialization of the calculation folder is being still studied. The choice of the software has been dictated from the necessity, in the first phase, to arrange more information entirety, that it has made to prefer the use of Microsoft Access; subsequently, being necessary an instrument that it allowed to carry out calculations quickly and in parametric way, for being able to make various the attempted ones to you, is chosen to use Microsoft Excel. LRU with members characterizes to you from FR=6. LRU with members characterizes to you from FR=5. LRU with members characterizes to you from FR=4. LRU with members characterizes to you from FR=3. Table 7.1: Resolutive actions of the shape base of the model. In terms of cash flows, this is illustrates to you in the successive histogram (for the values sends back to the Appendix B pag. 159). Figure 7.4: Relative cash flows you to the case base of the model. Following the philosophy proposed in tool the MOCA, the redesign in the time has been tried to improve ulteriorly such result procrastinando, and carrying out of the Bridge Buy, in order to satisfy the necessities of the obsolete members in the wait of the redesign. The followed method, in other words, has been that one to move the redesign of the LRU interested from such action, year after year, to estimate the total costs of resolution, it aggravates to you from the Bridge Buy, and to confront them with the cost previously obtained. It turns out obtained in the event to you from the point of view of the saving realized regarding the all in cost of obtained resolution base, without that is Bridge Buy, are brought back in the successive diagram. Figure 7.5: Economic Saving regarding the case base. As the saving can be seen more consisting is had for the third hypothesis, that is when it is decided to move the partial redesign of the members with FR=6 in 2010 and of those with FR=5 to 2011; approval from an other perspective, when it is decided to make Bridge Buy for 4 years for the members with FR=6 and 3 years for the members with FR=5. Wanting to outline such modus operandi using a timeline, for one clearer understanding, I obtain turned out following. Obviously, the result obtained in several the cases, depends on the realized saving not immobilizing the necessary understood one them to the redesign before. The cash flows of the found optimal solution in this way are brought back in the successive histogram (for the values send back to the Appendix B pag. 159). Figure 7.7: Relative cash flows you to the optimal case. Watching the tables that bring back the actions to undertake on ciascuna LRU, Notes that for LRU 37 is previewed a punctual redesign one is for the members with FR=6 that with FR=5; from the technical point of view, this type of resolution could not be feasible. It has been believed therefore, to consider a redesign total of the card, that it is usually more expensive, sometimes also a lot, redesign instead partial and to estimate the worsening on the total costs of resolution. In the successive tables, for greater clarity, it comes brought back the sunto of the actions to undertake for the LRU interested from members with FR=6 and FR=5. Obviously, these only differ from the previous ones for LRU 37. Table 7.2: Resolutive actions for the first modification for technical reasons. The cash flows previewed in this case, following the approach of base of the model are brought back in the diagram following (for the values send back to the Appendix B pag. 159). Figure 7.8: Cash flows case base first modification for technical reasons. As it is looked at from the legend of the diagram, in this case of redesign total, is necessary to consider, in the costs of resolution of the obsolescence, also the delta cost that is between the costs of repair of the cards and those of fabrication: once put in production one new card, in fact, when verification a return from the field, I cannot simply repair it, but I must supply one new LRU answering to the specific new of plan. Obviously, it must hold account of this cost from the moment in which the redesign is carried out. In the event of the redesign punctual, this cost, for the method of used calculation, already is comprised in the cost of the resolutive action. Also in this case, in order to try to improve the solution, it has been believed to send back the action of redesign, satisfying in the wait the question resorting to of the Bridge Buy. The course of the worsening percentage, regarding the optimal solution characterized with the shape base of the model in the previous paragraph, taken place in several the cases, is diagrammato in the successive diagram. Figure 7.9: Economic worsening regarding the optimal solution. As it is looked at, the optimal solution is obtained carrying out the redesign total of LRU 37 in 2012, that is carrying out Bridge equal Buy to the necessary amount to the sopportabilità for six years of the members with FR=6 and for five years for the members with FR=5. In these conditions a worsening regarding the optimal solution characterized with the shape is had base of the model of 21.26%, to new evidence that the redesign costs totals are remarkablly greater of the costs of redesign punctual. The relative cash flows you to this situation, are brought back in the successive figure (for the values send back to the Appendix B pag. 159). Figure 7.10: Cash flows optimal case first modification for technical reasons. To this point, regarding newly it turns out obtained from the shape base to you of the model brought back in Par. 7.1.4, Notes that for some LRU the relationship between the resolution costs is next to 100%, that it means that the two costs nearly are equivalent. From the budgettario point of view, obviously, being these costs it calculates to you on presumed dates of obsolescence, is surer, when the two costs are next, to prefer the solution redesign to that one of Last Buy, in how much, to forehead of a worsening of the previewed costs, us protection from unexpected rincari in the prices of the members, that they would make however to leaven the costs of resolution in unexpected way. Naturally, also this type of chosen must be weighted estimating the worsening of the costs regarding the optimal solution. The sunto of the resolutive actions it comes shown in the tables successive; obviously, siccome for members FR=6 and FR=5 heterogeneity between Last Buy is only had and Redesign, comes brought back only these cases. Table 7.3: Resolutive actions for the modification in order to hold account of the uncertainty. The relative cash flows you to the case base, considering this type of actions are brought back in the histogram following (for the values send back to the Appendix B pag. 159). Figure 7.11: Cash flows case base modification in order to hold account of the uncertainty. Also in this case it has been considered the possibility to delay the dates of redesign, estimating how much this influences on the costs. The course of the worsening is brought back of continuation. Figure 7.12: Economic worsening regarding the optimal solution. This time the better result is obtained in the event sending back the redesign of three years FR=6 and two years in the event FR=5. The worsening percentage regarding the optimal solution and of 3.44%. The relative cash flows you to such result are following (for the values send back to the Appendix B pag. 159). Figure 7.13: Cash flows optimal case modification in order to hold account of the uncertainty. To the light of the actions undertaken in the last case, Notes that are two LRU, the LRU 37 and LRU 38, for which it is believed to make a redesign partial is for members FR=5 who FR=6; for the reasons already it mentions to you in Par. 7.1.5, has been believed to in the event estimate the resolution costs total of redesign total of the LRU. In the successive tables it comes brought back a synthesis of the actions to undertake for the LRU interested from members with FR=6 and FR=5. Table 7.4: Resolutive actions for the second modification for technical reasons. The relative cash flows you to the case base, considering such redesign totals, are brought back in the brought back diagram under (for the values send back to the appendix B pag. 159). Figure 7.14: Cash flows case second base modification for technical reasons. Also in this case, for the reasons esplicitate in Par. 7.1.5, it is necessary to consider, in the costs for the resolution of the obsolescence, the exorbitant price in order to produce the new card, once that this is broken off, regarding the repair costs. As it can be seen from the columns of the histogram, the cost to support for the redesign is by far greater regarding the other financial expenditures that are taken place in the time: these last ones, in fact, nearly seem nonexistent in supported proportion to that one in the first period. In order to try to improve the solution, also this time is calculates the costs totals making to slip in the time the moment to you of the redesign; these turn out to you, then, as in the other cases they have been confronts to you with the optimal solution, obtaining the following course of the worsening. Figure 7.14: Economic worsening regarding the optimal solution. As it is looked at, for the case base, that is when it does not preview to carry out some Bridge Buy, a worsening regarding the optimal solution of 81.41% is had. The optimal one is caught up delaying the redesign until 2012: in this case, in fact, the worsening is of 42.81%. Sure such increase is remarkable, but it is important to estimate also this type of resolutive strategy well, in how much, often, the redesign punctual because of the complexity of the LRU and the variety of critical types us on it, turns out practically impossible. The relative cash flows you to the best condition are shown in the successive histogram (for the values send back to the Appendix B pag. 159). Figure 7.16: Cash flows optimal case support modification for technical reasons. For the stocastica nature of the input relati you to the obsolescence, the developed model is subject to one sure uncertainty. The made hypotheses to mount, therefore, are times to reduce, in the limits of the possible one, the possibilities of substantial errors in turn out to you: it has been assumed, in fact, like described in the Par.7.1.2, of posizionare the participation moment, for the resolution of the members who will go in obsolescence between much time, to half of the marked interval of obsolescence from the tool trades them CAPS Expert©. Moreover it has been previewed a monitoring activity, to lead every other year, to the aim to control that the made projections correspond to the real course of the facts, and, in scostamento case, to correct the strategy so as to to diminish of the effects; the costs of this type of activity, like already specified, have been included in the resolution costs. like decisional instrument: when this relationship, in fact, is approximately 100% has been believed to choose the redesign punctual like resolutive action. The range within which to make this modification, depends on the sensibility and the experience of the utilizzatore of the model. In the worse one of the cases, that is if all the LRU introduce costs of Last Buy and similar costs of Redesign, if, as an example, s chooses to modify the resolutive action for all the LRU that introduce a relationship CostiLB/CostiRD = (100%-25%), the worsening of the solution will be = to 25%: I say = in how much, after to have chosen the resolutive action for every LRU, must put into effect the optimization in the time. From the point of view of the applicabilità, the developed model draft the LRU like objects composed from other objects, of which forecasts are had on the obsolescence date, obtained by means of the sale data: the logic on which it is based, therefore, does not hold in consideration the particular nature of the objects deals to you. Projecting the speech towards other requirements, moreover, if it were succeeded to having a forecast of the date of obsolescence of the COTS, the model other constituted part could be applied also for the esteem of the costs of sopportabilità for this a complex system. The percentage of LRU that will come resolved with Redesign () and the rate members classifies you of type B and C who will come resolved with the Last Buy comes supplied from relative data you to a previous program. The CLS in 6 periods is divided: the first format from 4 years, the successes to you from 3 years, following logic of the contract, that is the possibility to renew it after the first quatto years, every three years. Production costs of the not repairable cards. They do not come considers neither costs of maintenance to supply, neither costs you of monitoring. For the calculation of the cost of resolution according to the method Design/Production, it comes considered an obsolescence rate anniversary of the LRU, without to go to consider the members who cause such problem. ANNI = Years of the CLS. Such rate comes considered constant in the years. cRD = Cost in order to redesign one LRU make. n = Number of years that elapse from the first year of the CLS to the last one of the period j-esimo. Nj = Number of years of the period j-esimo. It is assumed moreover that, in the first one and the last period, it does not come made some participation of redesign: in the first one because one supposes that us of it is not need, in the last one because contract CLS turns to the term and it does not convene to take part on phenomena that will have repercussions when the system is not of competence of the company. As far as the calculation of the resolution cost second the action of Last Buy, considers a rate regarding obsolescence members who, once recognized obsolete they come classifies to you like category B and C.
For classified member of type B one agrees that a possible alternative exists, but that it introduces parameters works them leggermente different; the compatibilities, therefore, must be verified on the LRU of belongings. For classified member of type C one agrees that it has not been found some alternative compatible. In both cases therefore it is gone to make a Last Buy of the member originates them in order to avoid the redesign. This reasoning is consequent to the approach of followed reactive type in SELEX-SI: in the moment in which a member it comes classified like B or C, the alternative of the Last Buy it comes pursued, but with risk to find members to a remarkablly increased price. p = Rate members classifies you of type B and C.
cMaterial = cSIST * Mat. cMaterial = Cost of the materials that constitute a system. This value, comes then chargeed, like purchase, to fifth, eighth and the eleventh year. As last thing assumes that in the first years I have members to warehouse in order to make forehead enough the first necessities. Later on I suppose that the members that I buy in the periods center them of the CLS allow me to support the production also in the last periods. It turns out to you are brought back in the successive table. Table 7.5: It turns out to you model SELEX-SI. Such values are diagrammati in the following histogram. Figure 7.17: Cash flows model SELEX-SI. To this point, after to have dealt in separate way the two models, it is interesting to confront of the main characteristics. Forecast of the costs in order to under investigation support the system radar, during the period of CLS, operating with a reactive approach, that is as already it has been operated in order to support the system in a previous program, from which the input have been taken. Forecast of the costs and the schedulazione of the actions in the time in order to support the system under investigation radar, during the period of CLS, operating with an approach for-assets. Data of obsolescence gain to you from the historian of a previous program, in which the same system in reactive way has been supported. Data of obsolescence gain to you from probabilistiche forecasts based on sale data, obtained through a tool trade them. Cost for the support of the system during the period of CLS. Optimal solution in terms of costs in order to support the system during the period of CLS and schedulazione of the activities in the time. The costs come calculate to you in macrocospic way as percentage of the costs generates them.Not there is update, but a rincaro is considered of the prices in the time. They do not come considers costs you of maintenance to supply for the Last Buy. Considerari costs of monitoring do not come. The costs are calculate to you in punctual way holding in consideration the single members who become obsolete. Useful it is also to confront the several one turns out obtained to you. In the successive table they come shown the obtainable costs of resolution in the various cases exposed in the previous paragraphs: in the entitled column MODEL comes brought back the type of adopted strategy in order to obtain the resolution cost, while in the entitled column CASE comes specified if the optimization has been made considering the minimum of the costs of resolution for every LRU (Base) or the brought back cost is the fruit of the made optimization, beginning from the case base considering the several actions in the time (Optimal), that is considering to postpone the moment of the redesign. Table 7.6: Economic comparison of turns out to you. To they of these goes turns out you economic, would have to be carried out, to this point, an analysis of technical feasibility that indicates effectively which is the really implementabile solution: it is possible, in fact, that the optimal solution is not perseguibile for technical reasons and that the doubts raises to you in the course of the experimentation, concrete problems are revealed to which it must make forehead. As it can be seen, but, from the percentages of saving brought back in the table, the developed model, also in the event worse, is more and more convenient regarding the model previously used in SELEX-SI and based on a reactive approach to the obsolescence. Such result door to the unavoidable ascertainment, as already pointed out in chapters it generates them on the problematic ones of the obsolescence, than a reactive approach to the problem, cause an increase, sometimes substantial, of the resolution costs. The development of this model, during the period of stage, has placed the bases for a new way to face the obsolescence, in a company a lot ahead in the study of these aspects of the logistics: also having a division of Custumer Support to the vanguard for the problems legacies to rebelling of the obsolescence, in fact, although it is always succeeded to find an just solution, lacks still that tied previsional sensibility to the total costs, in the time, of resolution. In general terms, also existing tool it trades them in a position to previewing the moment in which a member he will not be more available on the market, are still least the instruments whom they allow to have a total vision of the costs legacies the obsolescence, for the support of a complex system during its along life cycle; same speech is worth for models that allow to optimize the resolution costs through a action plan, constructed former-ante, so as to to support the system in possible the more effective and efficient way. Taking cue from tool the MOCA, described in the CAP. 6, the developed model has intentional to be a first attempt in order to make to be born a sensibility of the costs, legacies to the resolution of the obsolescences, for the support of a complex system during its operating life. “Logistic Support of Army material performed under contract by commercial organization. Support may includes material facilities as well as services”: The logistic support of the material of the army carried out under contract from the organization trades them. The support can include the material facilities therefore like the services. “Obsolescence is also very expensive, costing the US Navy (USN) hun-dreds of millions of dollars each year.”: The obsolescence is moreover much expensive, costing to the US Navy (USN) hundred of million dollars every year. “The Deputy under Secretary of Defence for Logistics (DUSD (l)) indicates that the average cost to redesign to (single) circuit card to eliminated obsolete components is $ 250.000.”: The Delegate under the Secretary of the Defense for Logistics (DUSD (l)) indicates that the average cost in order to redesign a card in order to eliminate the obsolete members is of 250.000 dollars. “The Electronic Industry Association (EIA) Manufacturing Operations and Committee Technology reported to cost range for redesign of $ 26,000 to $ 2 millions.”: The Electronic Industry Association (EIA) and the Manufacturing Operations and Committee Technology have marked one range of cost for the redesign from 26.000 to 2 milion of dollars. “The (USA) Air Force is reprogramming obsolete $ 81 millions for the F-22 program to purchase or soon-to-be out-of-production parts and to redesign assemblies to accept commercial parts.”: The Air Force American is allocating 81 million dollars for the F-22 program for the purchase of already obsolete parts or that soon it they will be and for the redesign together in order to concur the inclusion of parts it trades them. “An avionic manufacturer for the commercial airlines spent obsolete $ 600,000 to replace an Intel chip.”: A avionico supplier for the overhead lines trades has spold them $ 600,000 in order to replace an Intel chip obsolete. “The F-16 program has spent $ 500 million to redesign an obsolete radars. “: The F-16 program has spold $ 500 million in order to redesign an obsolete radar. “In fiscal year 1997, the KC-130 F/R program spent $ 264,000 on to life-of-type (LOT) buy as to resolution for one obsolete logic device.”: During fiscal year 1997, program KC-130 F/R has spold $ 264,000 on life-of-type buy (a LOT) like resolution for an obsolete logical device. “The loss of, or the impending loss of, the last known supplier of an item or raw materials. DMSMS occurs when manufacturers of items or raw material suppliers batch processing lines production two to reasons such as rapid change in item or material technology, uneconomical production requirements, foreign sources competition, Federal environmental or safety requirements, or limited availability of items and raw materials used in the manufacturing process. “: The loss, or the imminent loss, of the last known supplier of an article or raw materials. The DMSMS happens when the suppliers of articles or raw materials interrupt the production because of a fast change in the technology of the material or the article, to little economic requirement of production, to the competition of foreign sources, federal requirement of emergency or acclimatize them, or to the limited availability of articles and the used raw materials in the process of manufacturing. By 1984, the military was purchasing only 7 percent of the total I give-mestic semiconductor output. But in spite of the reduced market to share, military business was still desirable, The military still bought the most advanced and profit-able Chips and components, I know most vendors continued to supply the military. It was at this Time, however, that the momentum began building to redesign military acquisition processes, in part to capitalise more effec-tively on the rapid developments in commercial electronics. By 2000 and future, the infrastructure available to support military electronics needs has eroded, the military is counting on legacy systems de-signed in the 1970s and 1980s to servants well the new century. Active The US former-pected to be until 2030, while Army’s current roster of tanks and fighting vehicle is the US Air Force expects to use its current bomber fleet until 2040. These The sever obsolescence problems experienced by aging systems can’t be fixed by simple component replacement. Many com-ponents longer not to are available. Those that remain available aren’t competitive in either cost or performance with products routinely used in the commercial arena. These The sever obsolescence problems experienced by aging systems can’t be fixed by simple component replacement. Many components longer not to are available. Those that remain available aren’t competitive in either cost or performance with products routinely used in the commercial arena. ”: During years ’70, military requirement have guided nearly all the research & development for the electronics electronic and the soldiers have bought approximately the trentacinque for hundreds of the output of the industry of the members to semiconductor. Within 1984, the soldiers bought only seven for hundreds of output the total of dispositi to you to semiconductor for not military use. But in spite of the percentage of the reduced market, the military commerce was still desirable, this anchor bought the integrated circuits and the members more are left over to you and more favorable, therefore the greater part of the suppliers continued to supply the military market. In this period, however, he began himself to redesign the military processes of aquisizione, partially in order to capitalize in more effective way the fast fast development in the electronics trades them. This way to act, also leaving with the best intentions, did not succeed to preview the coming from threat from the explosive development of the industry electronic, that it would meaningfully have changed the principles of base for the suppliers. Within late years 90, the military purchasers have had to face a market of the electronics trade them that she was expanding herself esponenzialmente. However there was a delay in the understanding of like the development trades would have interested them the fabrication of electronics to the component level. Within the 2000 and for the future, infrastructure necessary to support the military needs as regards electronics he will be eroded, while the soldiers are counting on the systems of the inheritance assign to you in years 70 and years 80 in order to serve the new century well: in the army of the United States, in fact, one thinks that I use it of tanks and veivoli from combat, currently in use, he must last until 2030, while the aeronautics of the United States thinks to use puts into effect it them fleet of bombers until 2040. The problems of division obsolescence experiment to you from these systems given to you cannot be repair to you from the simple restoration of the members: many members, in fact, are not more available. Glaskowsky, the Hudson, Ivie, Business Logistics. W.J. Fabrycky, B.S. Blanchard, Life-Cycle Cost and Economic Analysis, Prentice Hall International Series in Industrial and Systems Engi-neering. Alberto Mezzogori, Integrated Logistic Support, SE.MA.T-Florence. James V. Jones, Integrated Logistic Support, Mc Graw-Hill. ACCS LOC 1 Bid Volume 1, Contract CO, Area L, Chapter 2, Section 2. W.T. Hartshorn, prac-tice, Obsolete Obsolescence management process as to best parts leverage team road-show. Northrop Grumman, practice Best: component obsolescence manage-ment, Defensive Systems Divi-sion-Rolling Meadows, 29 june 2001. Group on standardization on material and engineering practices (AC/301), STANAG 4597 (Edition 1) – Obsolescence management, 17 March 2003. American Standard ANSI/EIA-724, given Product life cycle model, 19 september 1997. M. Pacht and D. Das, The electronic part life cycle, IEE Transactions on Components and Packaging Technologies, vol. 23, n° 1, March 2000. R. Solomon, P. Sandborn, M. Pecht, Electronic part life cycle concepts and obsolescence forecasting, IEE Transactions on Compo-nents and Packaging Technolo-gies, vol. 23, n° 4, December 2000. P. Sandborn, F. Mauro, R. Knox, To date mining based approach to elec-tronic part obsolescence forecasting, Actions from the conference on DMSMS 2005. Reactive P. Sandborn, Beyond thinking – We should be developing for-active approaches to obsolescence man-agement too! , DMSMS Center of Excellence Newsletter, volume 2, Issue 3, june 2004. P. Sandborn, P. Singh, Determining optimum redesign plans for avionics based on electronic part obsolescence forecasts, Society of Automo-tive Engi-neers, Inc., 2002. P. Sandborn, P. Singh. Electronic part obsolescence driven product king-design planning, IJAMS International Journal of Advanced Manufacturing Systems, Volume 7, Issue 2, 2004. P. Sandborn, P. Singh, Electronic part obsolescence driven product king-design optimization, 6° Joint FAA/DoD/NASA Aging Aircraft With-ference, 16-19 september 2002. Future P. Sandborn, Forecasting the obsolescence of parts, University of Maryland. F. Haub, Managing materiel shortages the USN way, International de-fence review-extra, 01 september 1997. Army Material Command, Diminishing manufacturing sources and material shortages, AMC-P5-23, United States Army Command, Al-exandria, Virginia, 18 March 1999. Hamilton and Chin, Aging military electronics: what can the Pentagon I give? , National De-fence, March 2001. L. Condra supported from D. Followell, G. Houchens, J. Jenks, M. Koehler, Z. Porter, Minimizing the effects of electronic component obso-lescence, Electronic products Boeing Information Space & Defence Sys-tem, May 1998. W. Lloyd, C. Condra, To. Amir Anissipur, D. Mayfield Tennis, G. Michael Peatch, Electronic components obsolescence, IEEE Transac-tions on components, packaging and manufacturing technology – Part To, volume 20, n° 3, september 1997. M.B. Wright, D. Humphirey, F.P. McCluskey, Uprating electronic component for use outside their temperatures specification limits, IEEE Transactions on components, packaging and manufacturing technology, Part To, volume 20, n°2, june 1997. Obsolete R.C. Stogdill, Dealing with parts, IEEE Design Comput Test., volume 16, April-june 1999. The Ministery of Defence, Defence Standard 00-71, Issue 2: Obsoles-cence Management, Directorate of Standardization, 27 January 2001. Air Force Material Command DMSMS Program, DMSMS Resolution Houses Guides, 15 July 1998. EIA Engeneering Bulletin, Diminishing Manufacturing Sources and Material Shortage Management Practies, GEB 1, 15 July 2000. Porter G.Z. (Boeing Commercial Aircraft Company), Strategies for ob-solescence management in the new millennium, Actions of the DMSMS With-ference 1999. P. Sandborn, P. Singh, Forecasting technology insertion concurrent with design refresh planning for COTS-based electronic sys-tems, Proc. Reliability and Maintainability Symposium, Arlington, GO, January 2005. Herald, T.E., Technology refreshment strategy and plan for application in military systems – To “how-to systems development process” and link-age with CAIV, Actions of the National Aerospace and Electronics Conference (NAECON), 2000. Andrew Meyer, Management of component obsolescence in the military electronic support envirormant, Faculty of engineering, Rand Afrikaans University, june 2002. W. Tomczykowski, To. Fritz, R. Scalia, Defence Microelectronics Activity (DMEA), Program managers handbook: Common practices to mitigated the risk of obsoles-cence, 31 May 2000, ARINC. Department of defence handbook 512: Part Management, 4 October 200. Z. Porter, An economic method for evaluating electronic component ob-solescence solutions, Electronic Products Boeing Information Space & Defence Systems, Maggio 1998. To. L. Henke, D. Lai, Automated parts obsolescence prediction, Stottler Henke Associates, Inc. (SHAI), 1998. Sitting to my writing desk, occupied in the last developments of the thesis, still I do not become account of to have arrived to the end of this distance that has been involved all same me in last the six years; watching to me behind I become account that many things in my life and within of me are changed: perhaps my way to think, to face the things, my way of relazionarmi to the others ….. has grown, but I hope to remain that humble person and that it is put in argument, that always they have been. Travelling over again my road, I cannot make less than to think next to how many they have made me from wing, like when a ciclista, engaging every fiber of its being in order to gain the summit that separates it from the goal, finds force and support from the tifo that the persons offer to it along the distance. My first thought, obviously, goes to my parents, without which never I could not arrive to this point; I do not only speak about the economic support, than sure he has been indispensable, but of that tacit or explicit aid that many times has come from their heart: I refer to all the occasions in which my mother, hiding in Hush the anxiety, it has encouraged to me, seeing taken to me from the books or preoccupied for a program too much along that just it did not want to enter to me in head; to the speeches of my father, when, convinced that same not listening, it spoke about proud me, forgetting itself about not easy mine caratterino. I rethink every time that they are raises you to the six of the mattino, in the depths of winter, when outside it was still buio and the blankets, instead, were as well as pleasant, single in order to accompany to take the hydrofoil to me, because the lessons began soon and I had to catch up Naples ….. I could describe many moments like these, but not is not need, because them port all in my heart and for all these things I can only ringraziare my mother and my Pope. Like not ringraziare also Diego, the my companion of much moment, than with extreme patience have sopportato the my jolt of humor and the my paranoia when, under stress for a examination, not have other valve of vent that he, than me have always encourage say me that can make us it. Thankses, at last, the Ing Ear-ring, Ing Vertucci and i members of the ”Business Unit Custumer Support/Engineering/Support to the product” near plant SELEX-SI of Giugliano in Campania, for the availability with which they have received to me and continuation in my period of stage. A particular thanks goes to the Ing Francisco Saverio Di Sibio, than, with patience and professionality, it has covered a fundamental role in my formative distance in SELEX-SI. Corso di Laurea in Ingegneria Gestionale, Vecchio Ordinamento. Sostenuto livello FCE dei Cambridge ESOL Examinations (Giugno 2006, in attesa di conoscere l’esito). Partecipazione ad un progetto per lo sviluppo di un cruscotto di monitoraggio per valutare la bontà della pianifiacazione della produzione. Stage presso la Business Unit Custumer Support/ Engineering/ Supporto al prodotto partecipando ad un progetto per lo sviluppo di un modello per l’ottimizzazione dei costi di obsolescenza per il supporto di un sistema radar. Letteratura, comunicazione, cinema, cucina, fitness, moda e arredamento.